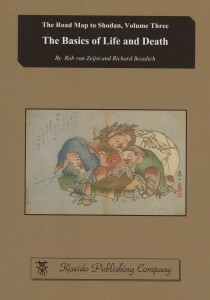 The Go Books app just added “The Basics of Life and Death” by Rob van Zeijst and Richard Bozulich. Part of their new “Road Map to Shodan” series, this book first provides a systematic introduction to life and death, with 50 problems, then goes through 177 problems based on positions that often arise in real games. “As such, it is an invaluable reference work that deserves a place in every go players’ library,” says Anders Kierulf. The Go Books app offers 115 interactive go books that you can read on iPad, iPhone or Macintosh.